A cartoon of many things. Because of this connection, I’ve teamed up with John S. Drew on his Batcave Podcast for a special series of episodes exploring each of Filmation Batman’s 17 segments. The first one — which covers My Crime is Your Crime and A Bird Out of Hand — can be downloaded here, here or from iTunes. These episodes will be uploaded on a regular basis, so join us for a listen, won’t you? 1. 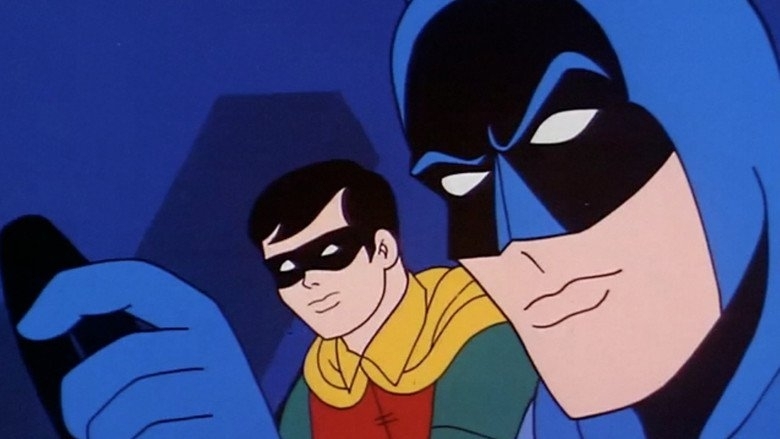 Filmation Batman is the de facto fourth season of Batman ’66. It went into production just as the ABC show was ending and took many of its cues from its live-action counterpart. The episode set-ups, cliffhangers, larger-than-life traps, Chief O’Hara, Robin’s “Holy! –” expressions, even the way Commissioner Gordon talks, are just some of the examples of how the DNA carried over. 2. Which is unsurprising, because think about how long a shadow the live-action show cast for decades on popular culture. Until Tim Burton’s Batman ’89 came along, Batman ’66 was how the average person thought of the Caped Crusader — often for the worse. And it’s not like it ended there. Only now that a generation or two — and dozens of cinematic, comic-book blockbusters — have passed do people see Batman ’66 as a nostalgia thing. 3. Even as the comics themselves were reverting to Batman’s dark roots, Filmation’s brighter version chugged along for 17 segments (each including a two-parter and a shorter, one-parter) on CBS, then syndication. And it kept going. 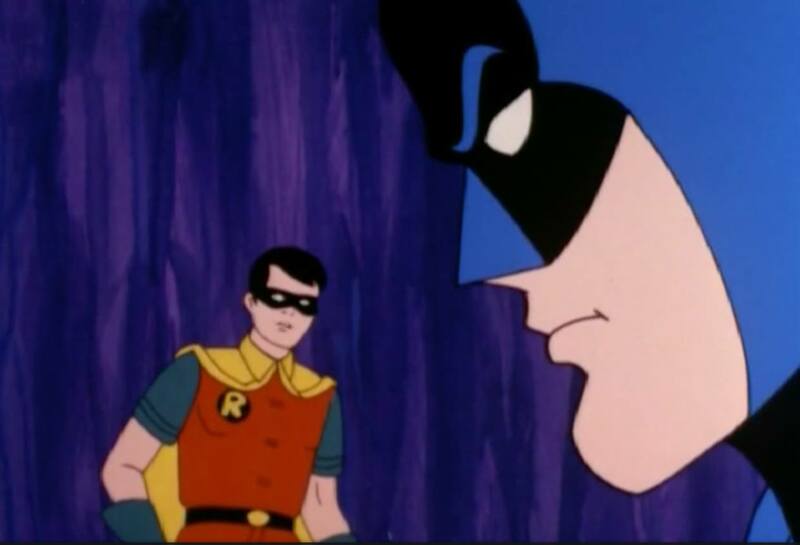 Filmation Batman’s sensibility paved the way for his portrayals on Scooby-Doo and Super Friends — and, of course, the lamentable 1977 Filmation series. 4. Olan Soule is the only Batman voice to give Kevin Conroy a run for his money. Different styles, different times, different concepts. Both indelible. Casey Kasem made for a great Robin, too. 5. The focus on the Big Four villains — Joker, Penguin, Riddler and Catwoman — plus top second-stringer Mr. 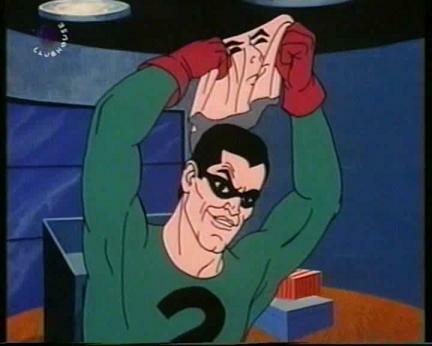 Freeze, is another example of the Batman ’66 influence. 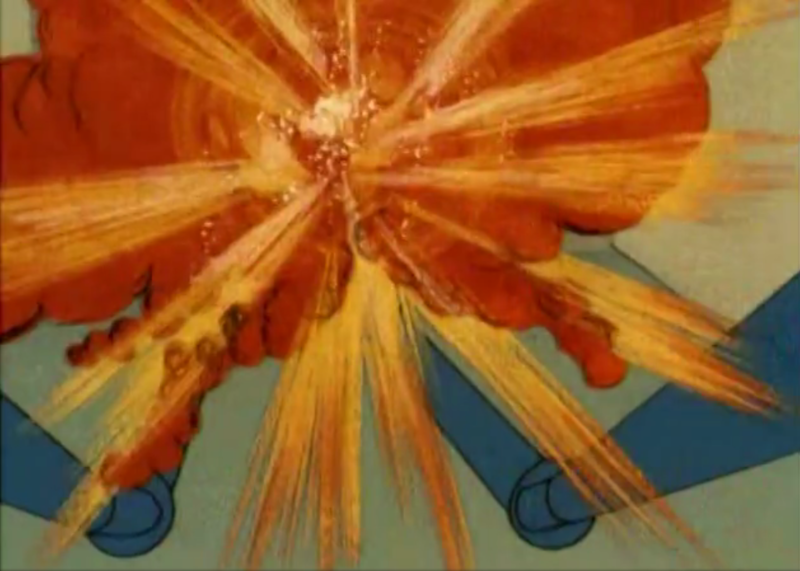 Filmation exec Lou Scheimer’s crew knew what they were doing. On the flip side, I could also see Simon the Pieman as a Batman ’66 villain. 6. Of course it would annoy me as a kid, but now I love it whenever the characters go off-model. Watching for Robin’s floating chest emblem or Batman’s color-inverted logo is great sport. 8. It wasn’t until I watched these as an adult did I realize just how much these cartoons got into my psyche. 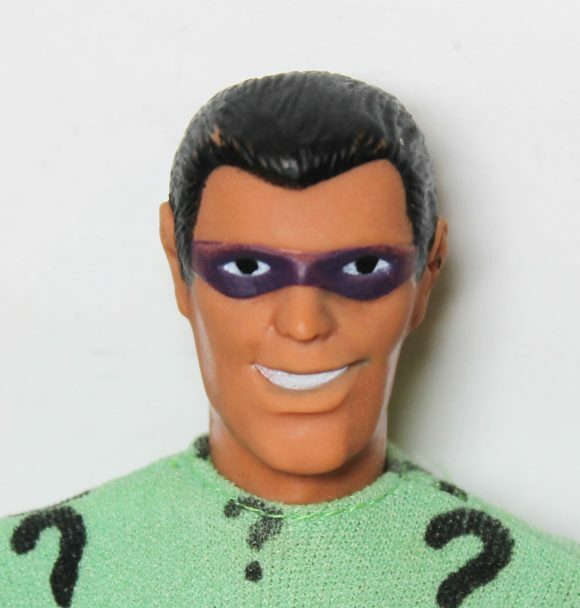 I realize that when I played with my Megos as a kid, my Riddler voice was the one from Filmation, not Frank Gorshin. I see now that Ted Knight was trying to approximate Gorshin’s stilted delivery and maniacal laugh but when it came out of my mouth it sounded like Knight. Same with Larry Storch’s Joker. 10. When I think of Filmation Batman, I first think of being at the Tagliaferris’ house. I was an AM kindergarten kid and Marilyn Tagliaferri took care of me in the afternoon while my Mom and Dad worked. My sister and I became friends with their kids and I remember watching Filmation Batman there on New York’s Channel 5, interspersed with Aquaman cartoons. Kind of puts me in the mood for a peanut butter and jelly sandwich. 11. 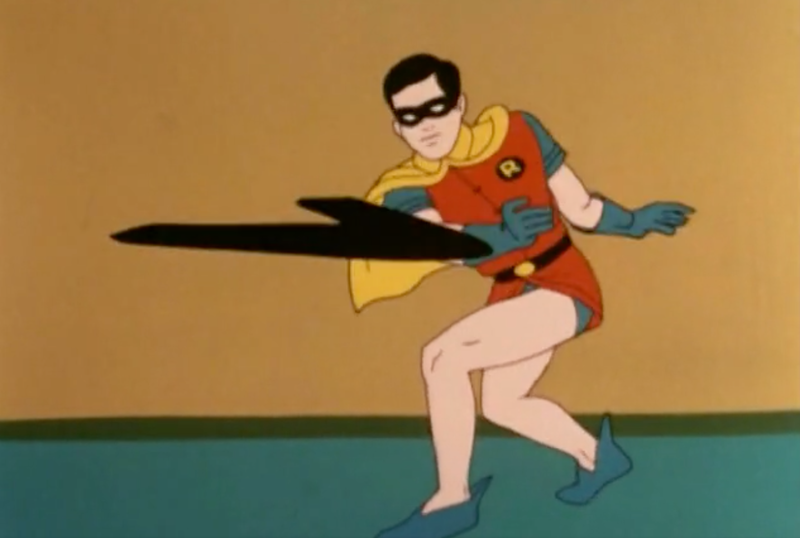 Otherwise, Filmation Batman was kind of a moving target well into adulthood. It seemed to move in and out of the programming schedule with regularity and when it was gone I would always miss it. By the time I was an adult, I’d seen the Superman and Superboy cartoons and the shorts with the other Justice Leaguers but so much of it became a faint memory until a few years ago when they all finally became available again. 12. That said, the cartoons are of a widely varying quality. The animation is wonky, of course, but that’s part of the charm. And the transitions are fun — floating Batman head anyone? — and clever. 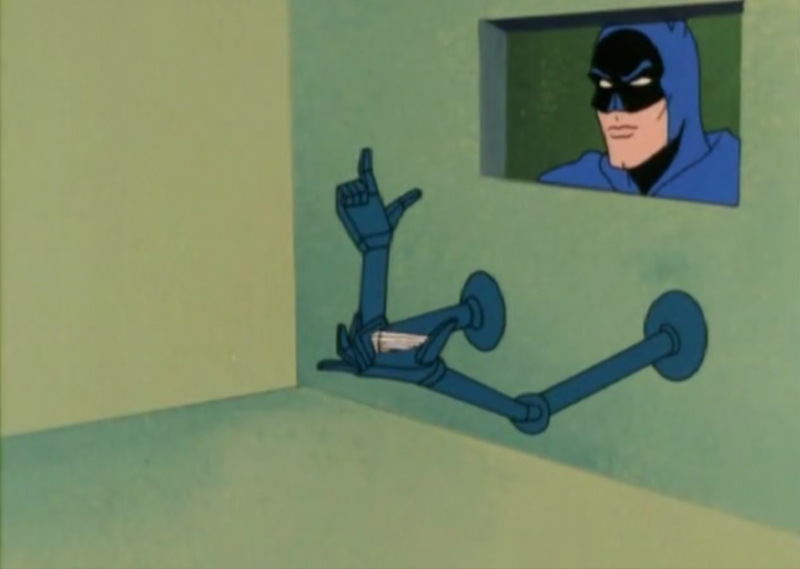 The stock footage too: Robin throwing the Batarang, Batman and Robin punching the screen. Great stuff. But I’m talking story. Some episodes really zip. Others, not so much, though they can be salvaged by a great sequence. — The FILMATION BATMAN Index of Reviews and Features. Click here. — 13 GREAT CARTOONS: A FILMATION DC Superheroes Celebration. Click here. — The Batcave Podcast can be downloaded here or from iTunes. Loved the Filmation Batman. It’s the first show that made me aware of the concept of a theme song. (a lost art unfortunately) Being 3 or 4 at the time I didn’t know how to arrange a schedule when this was on so I’d just turn the knob hoping I’d come across the cartoon on Saturday morning. If it was on and I was in the other room I’d come running when I heard the theme song. Loved the minimalistic music within too. The guy that wrote it had made his bones doing organ music in the silent film era, if memory serves. This was like at the end of his career. As to Larry Storch doing Joker I always thought it was Ted Knight. Scheimer was interviewed for a Tomorrows magazine where he denies it was Larry Storch. Also Storch was one of the early Gilbert Gottfried podcast guests. I believe he denies it too. Filmation Batman was my first ever exposure to the character, let alone any comic books or Super Heroes of any kind. But it was the 1977 series, The New Adventures of Batman, that I got started with. I loved Adam West and Burt Ward as the voices of Batman and Robin. As for the first series, my first exposure wad the Mr. Freeze episode He Who Swipes the Ice Goes to the Cooler, when these towns aired on the Bozo Show with Superman and Superbly on WGN. I recognized Olan Soule and Casey Kasem from the Super Friends and I fell in love with this series as well. Truth be told, I love both Batman series by Filmation. Each series has qualities and elements the other series lack. And they both have unique charm. I will always love seeing Batman and Robin leap into the Batmobile from the rear and see the car take off. That was in both series. 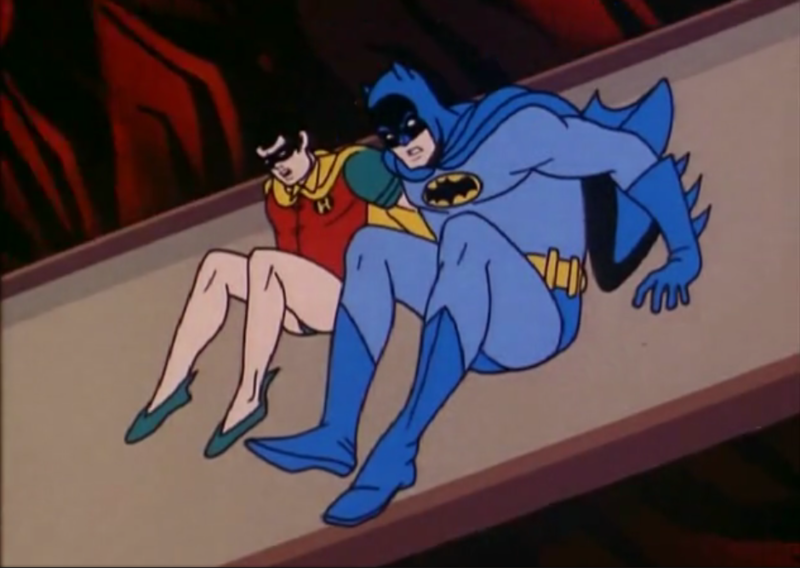 And Filmation Batman will always be my Batman. Olan Soule, Adam West, and Kevin Convoy will always be my favorite Batmen. On the Mego Museum, my handle is Filmation Batman Fan. Filmation Batman Rules!! I’m so torn! I grew up watching the Filmation Batman and watching the live action series, truly enjoying both. But, years later, Frank Miller’s “The Dark Knight Returns” arrived on the scene! I dove back into comic book Batman: suddenly, the Batman of the old days (and The Superfriends) seemed unbearably naive and sappy. I can appreciate and remember fondly the campy Batman and do-gooder Batman but the brooding, dark and vengeful Batman of my adulthood is amazing. I’ve had the ’69 Batman and Robin on my Amazon library for years and after listening to the Bstcave Podcast and reading your thoughts, I’ve started re-watching. Watching the strobe-like red/blue background on the credits took me back to my grandparents early color tv. The cartoon really lit up the room. Burying the lead though. We have to get the Spider-man ’67 series dissected. 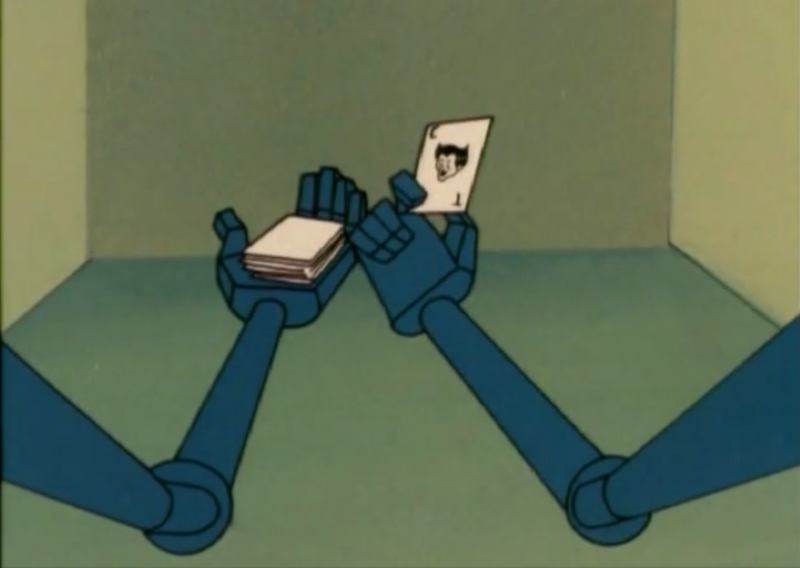 It and the ’67 Fantastic Four cartoon are my favorites. You mentioned that Spider-Man ’67 was your favorite. 69 Filmation Batman was my first exposure to Batman. I kinda wish the 66 Batman was made like this without the camp. Was also a fan of filmations Superman/Superboy and Aquaman, as well as 67 Spiderman. Then the heroes guest appearance on The Brady Kids and Scooby Doo, which led to the ultimate Superfriends. I’m glad that’s how I first knew them. The music is what always grabbed me with the Filmation Batman! And to your point, I used to live in NYC and watch the Batman and Aquaman cartoons on channel 5 in 1970 as well! The red herring episode is one that I remember from that time and it is a great one! I have the whole series on DVD and I dip in from time to time. 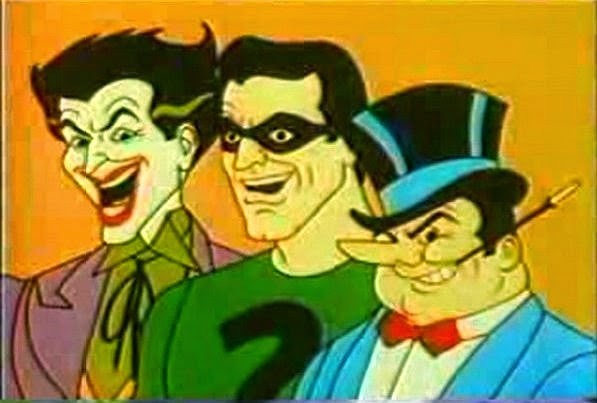 50 years ago when CBS-TV first aired “THE BATMAN-SUPERMAN HOUR” on its great Saturday morning line up, the Filmation produced cartoon used the character designs which was obviously based on Carmine Infantino’s amazing drawings that gave the Filmation/Ducovny produced animated series a great look, and the main voices of Olan Soule’, Casey Kasem, Ted Knight, and Jane Webb resulted in a superior series, good writing, especially from Bob Haney, Oscar Bensol, George Kashdan, and Bill Keenen, and the sound effects from then Enfield Mahana ( before Horta-Mahana was formed) and the music, which I suspect was done by Spencer Raymond and Robert Allen, who scored the amazing background music for the “FANTASTIC VOYAGE” cartoon series-so in a nutshell, Filmation’s animated “BATMAN” cartoon series was outstanding and amazing for the studio’s low budget animation in those days, it still managed to deliver a superior quality for its time, and stayed true to the Silver Age version of Batman & Robin! 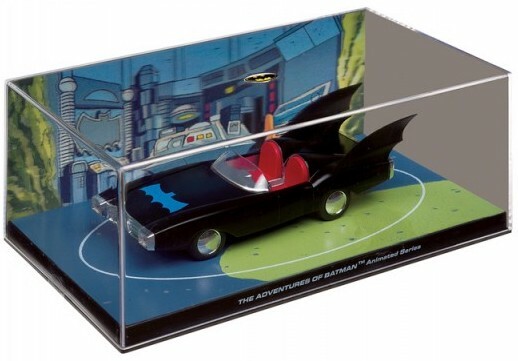 the same couldn’t be said of “THE NEW ADVENTURES OF BATMAN”, which, being Filmation’s second try at going back to The Dark Knight, was a flimsy and campy effort since Adam West and Burt Ward returned to voice their 1966-68 roles, with Lou Scheimer voicing “Bat-Mite”, it was a far cry from the 1968 version, and Hanna-Barbera’s “SUPER FRIENDS” was already making waves in the ratings for ABC then, so in all its glory, the 1968 Filmation BATMAN is still a master achievement, and if anything, it was the very first cartoon series of The Caped Crusader! I can’t find it right now but I looked up the composer years ago. Maybe the source I found was wrong but it stated he had been a film composer for silent films back in the day; one of those guys who actually sat at the organ and wrote to the film as it played in the old movie houses. Near as I could tell the Batman cartoons were something he did end of his career/life. Can’t find it again as I write this but I’ve always remembered that. He evolved with the times and did some cool stuff for the show. His Batman theme and the Dave Grusin’s Dan August theme are two of the earliest examples from my childhood that I remember and made me aware of the concept of a theme song. Very powerful and influential imagery here. 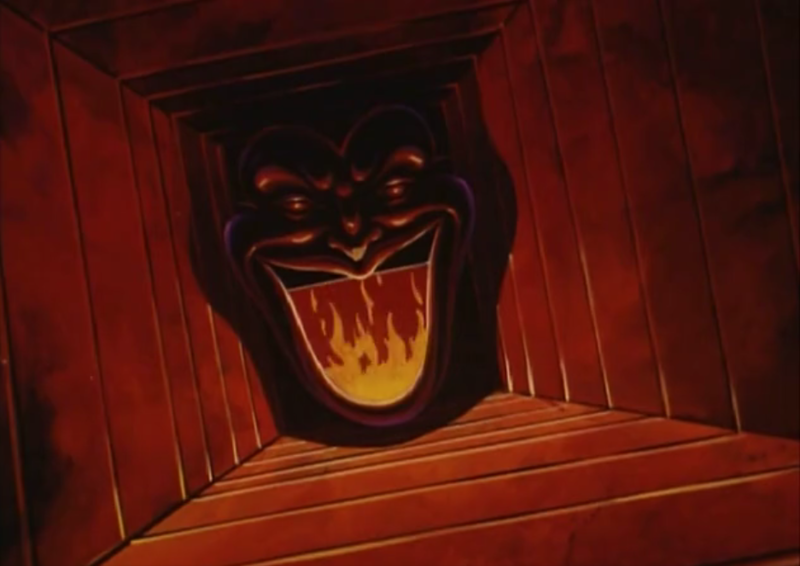 During the CBS years of Filmation and Allen Ducovny’s executive producer duty for the Superman, Aquaman, and Batman cartoons, John Marion was credited with composing the background music along with Gordon Zahler being the music supervisor for these early Filmation productions, but the style of the Filmation BATMAN music was highly stylized and different from Marion’s background scores, although these were the 1966 scores that was made for “THE NEW ADVENTURES OF SUPERMAN”, I am pretty certain that Spence Raymond & Robert Allen, uncredited, did the exclusive background music for the 1968 version-I have a keen ear for music, and growing up on Filmation’s Saturday morning shows, I recognize the style of music that they used in those days before Ray Ellis, who was responsible for ABC-TV’s animated score to the first “SPIDER-MAN” cartoon series in 1967 for Grantray-Lawrence/Krantz was hired by Filmation to score for “THE ARCHIE SHOW” in 68′-and while it may seem a trivial digression, Ray Ellis eventually did all of Filmation’s music in the 70s under the names of “Yvette Blais & Jeff Michaels” before the studio used the newer musicians to score the “HE-MAN/SHE RA” shows in the 80s.. but as you know, what really made the 1968 BATMAN cartoon series work, was that is was not campy like the live action ABC series, and was straight and serious in its consistency to the comic book in those days, but most people just condemned the 68′ series as low budget trash and couldn’t see the qualities that many of us clearly identified with, which was their loss and our gain!